Now for some contemporary choir experimentation from Norway. The group Trondheim Voices are all women, a collective if you will, performing pieces which draw on their pool of talent as needed for each piece, usually meaning that seven or nine voices are in play at any given time. They’re not afraid of amplification, microphones, nor making use of modification effects. Reverb, delay and looping effects all have a role to play in their music. When they do it in the live arena, they wear little wireless boxes called “maccatrols” that allow this voice manipulation to take place in real time. 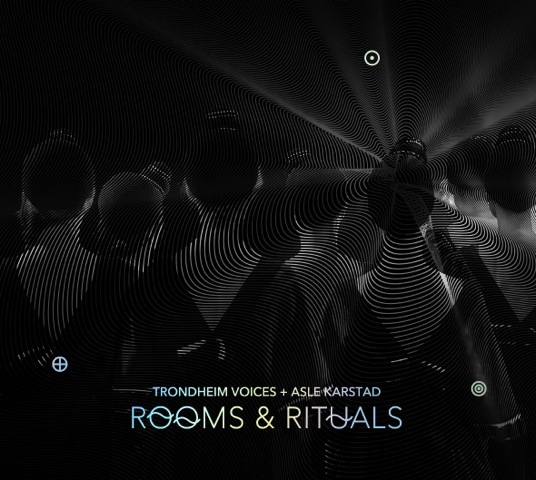 You’ll hear some examples of this method on today’s album Rooms & Rituals (GRAPPA GRCD4584), where the overall sound design has been effected by Asle Karstad (which is why he gets a credit on the cover). 12 pieces of highly spectral dimensions follow. The voices of Sissel Vera Pettersen, Tone Ase, Heidi Skjerve, Anita Kaasboll and others blend together in works of chilly, delicate beauty, where we can hear everything from imaginary songbirds, ghosts and spectres, wailing children, shrieking furies, and various non-specific sounds, some of which are abstract enough to be mistaken for weather conditions (mostly icy weather, it must be said). This group would make a great job of Greek tragedy, for instance Orpheus in the Underworld. Although Trondheim Voices have “done” a few contemporary composers, their strength appears to be group improvisation, which is largely what’s on offer here; only one track makes a concession to conventions of melody, since it makes use of a hymn tune from Southern Norway (Rennebu, mostly mountains, moors and forests). Only occasionally do I regret the lapses these women make into vaguely jazz-inflected turf (coming off like a tortured version of Cleo Laine), but these moments are very few, and this record is mostly a triumph of subtle, wiry, crystalline tones set forth with precision and assurance. Might be worth doing a compare listen between this and the record by fellow Norwegians Song Circus, whose Anatomy Of Sound record created quite a stir; both groups use electronics, but while Song Circus may have more discernible avant-classical leanings, Trondheim Voices get to a similar place by trusting instead to intuition, imagination, and collaborative group work. From 14th June 2018.